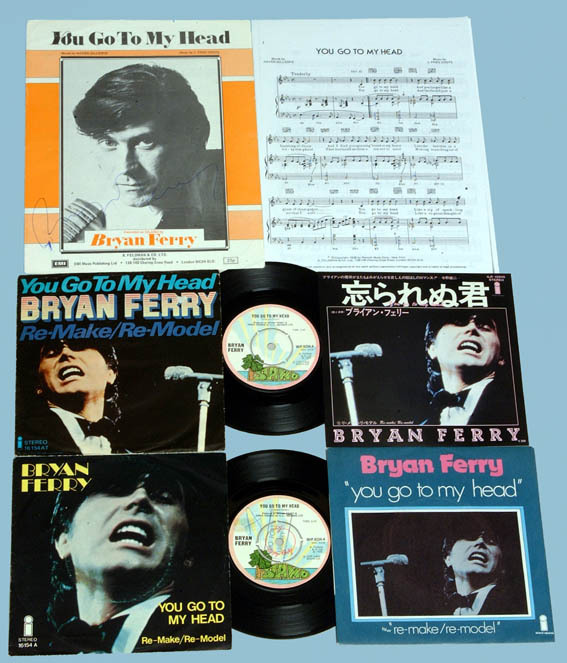 Lyrics to the song You Go To My Head as recorded by Bryan Ferry. This 30's standard has been recorded by Frank Sinatra. Bryan Ferry recorded it as a single and reached number 33 in the UK charts in 1976. The b-side to the single was Bryan's re-recording of the Roxy Music song Re-make/re-model.